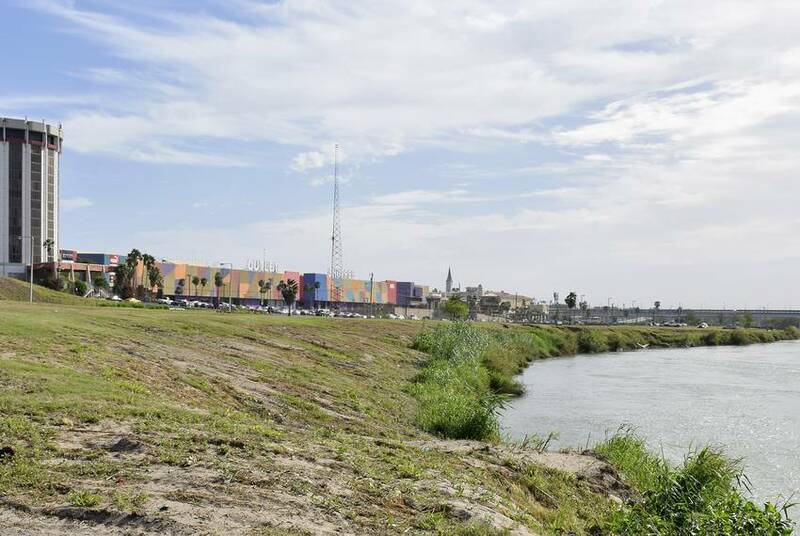 Previous city councils first envisioned the River Vega Master Plan project more than a decade ago as a riverfront development to lure shoppers and tourists to downtown Laredo, similar to San Antonio’s River Walk. The project never got off the ground under previous administrations, and its final price tag swelled to more than $72 million, according to a 2006 project summary. But the city was able to complete one piece of it: an outlet mall where dozens of national chains now do business. City leaders have dusted off the plan, and now they're trying to convince the federal government to finance it. 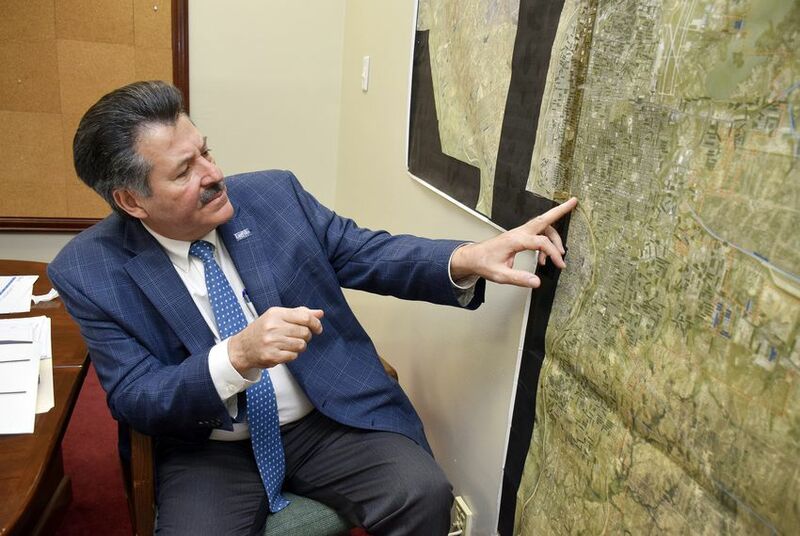 They want to build a concrete bulkhead near the banks of the Rio Grande that incorporates green and recreational space, a promenade and flood protection — and they say it would also fulfill the federal government’s demand for a border barrier. 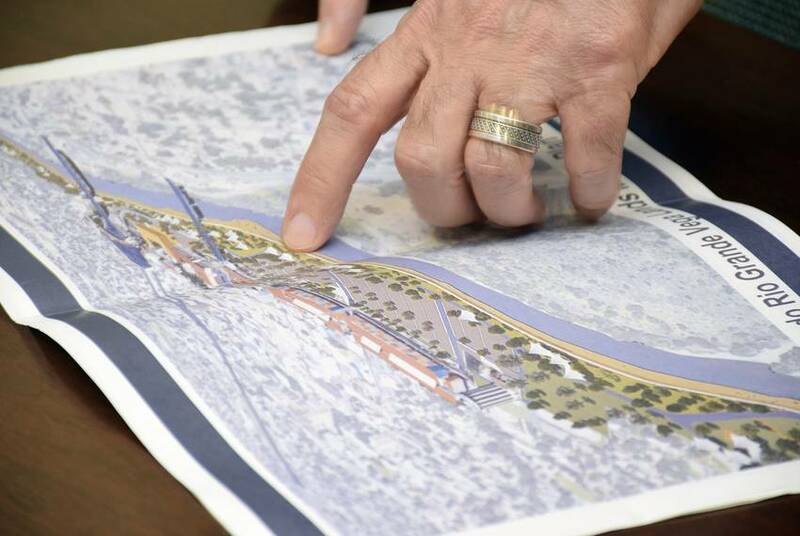 The project would run through about 12 miles of city property that includes a large swath near the city’s downtown outlet mall, soccer fields and parks that sit on or near the banks of the Rio Grande. Its height would range from 18 to 22 feet, and it would cost about $18 million per mile, Laredo Mayor Pete Saenz said. That's about $6 million less per mile than the steel barrier the Trump administration wants to build, according to the latest estimate by the Office of Management and Budget. Cortez’s group has joined the Carrizo-Comecrudo Nation of Texas, border landowners and other environmental groups in a lawsuit filed Thursday by Washington, D.C.-based environmental group Earthjustice against Trump, Department of Homeland Security Secretary Kirstjen Nielsen and U.S. Treasury Department Secretary Steven T. Mnuchin. The lawsuit accuses the president of violating the Constitution by using an emergency declaration to circumvent Congress. It also claims that the accumulation of natural debris and trash along a border wall would exacerbate flooding, cause major property damage and put lives at risk. “The President’s abuse of emergency powers to override the will of Congress is a blatant power grab,” Sarah Burt, lead attorney for Earthjustice, said in a written statement. “It not only goes against our basic form of government, but also harms those who live, work and worship along the border." "The city’s leaders have our community’s best interest at heart. Many significant factors are currently at play which impact our community," he said. "Such factors can change quickly as we know and must be evaluated within a holistic-strategic view to achieve better results, including securing other federal projects for our city, along with the protection and preservation of the Rio Grande." Carlos E. Flores, an attorney working with the Rio Grande International Study Center, said the River Vega project is better than a wall, "but it’s falling into the narrative of Trump, which is that there is this problem and we need to build this barrier in order to solve this problem, and I don’t think that’s correct." Whenever wall construction begins in and around Laredo, the project will come with millions of dollars in construction contracts. Saenz said he’s aware of the contracting scandal that erupted in the Rio Grande Valley under the Bush and Obama administrations — more than $170 million went into the bank accounts of a Hidalgo County drainage district that oversees levees on which the federal government built sections of border fence. That project was also pitched as a glass-half-full compromise: The levees would get repaired and help protect the flood-prone Rio Grande Valley while satisfying the federal government’s requirement to build fencing. Saenz said he’d ensure an open and transparent bidding process to prevent a similar situation in Laredo.